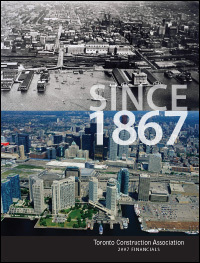 The Toronto Construction Association, or the General Builders' Society as it was called then, was founded in February 1867 by a group of 58 Canadian construction industry executives. The association's mandate in those early days was to promote the highest possible standards of professionalism in an industry characterized by stiff competition and often razor thin margins. Today, more than 140 years later, not much has changed. Our membership is bigger, of course, with more than 2200 member companies representing something approaching 300, 000 local construction industry practitioners, but our mandate is ostensibly the same. 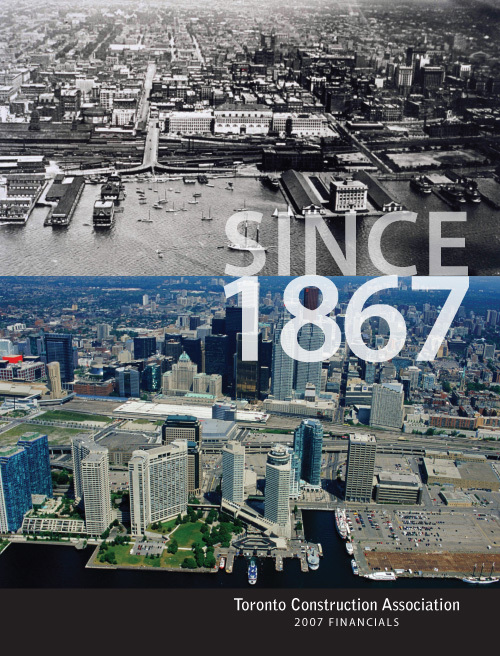 For more information on the history of TCA click here.